Should you start a blog or not? If this is a question you’re asking yourself then maybe all you need is a Magic Eight Ball. But, in reality you might be asking the wrong question. You should be asking yourself, ‘why am I even questioning if I should start a blog or not’ because it’s so easy, why wouldn’t you start a blog? Yes, it’s that easy to start a blog, and that’s with your own domain name and total freedom to do what you like with your blog. So what’s stopping you? I think we need to dig a little deeper. Are you concerned what your friends will say? Then don’t tell them until your rich. Then take a look around this website and see how much help is available here and online. Is a blog going to earn me extra money? Sure you do, 10 minutes to get started and 1-2 hour a week is all you need. That just means dropping 1-2 TV shows a week. Maybe I should just start a website instead? A blog is a website and it’s really flexible because it can be an online shop, diary, landing page, communication portal, reference pages, and anything else you can think of. Will I be able to start a blog for free and make money? That’s a tricky one, but the short answer is NO. Most FREE blogging websites don’t allow you full control of your blog and can restrict money making activities. You could just use your free blog as a sales page but a name like mybussiness.wordpress.com looks a little unprofessional don’t you think? Don’t waste your time with a free blog. But what if I’m no good at writing? Yeah, I hear you, but you’ll get better. The more you write the better you’ll get. This one tool has helped me to become a better writer. I don’t even know if I’ll enjoy it? You’ll never know unless you give it a go. Maybe I should just Write a Book? Do yourself a favor and start a blog first, when you’re more comfortable with writing then, think about writing a book. The time on your blog won’t be wasted because you can use your blog to promote your book, assuming it’s on a similar subject. No one writes on blogs anymore? Err, there is a new blog created every 3 minutes, according to WordPress so yes, people still blog. If you follow this guide and use my preferred domain hosting company you can use their Anytime-Money Back Guarantee. It really does work and I’ve used it myself. If you want to shop around then compare blog hosting to see what the best offers are. So should you start a blog or not? Yes, you should and if you don’t like it stop doing it. Perhaps these questions have helped you to decide if starting a blog online might be right for you. However, you’ll never really know unless you take action and jump in. It’s not as hard as you might imagine and at least you’ll answer this one question that’s been lingering for a while. For more information on blogging Start Here. 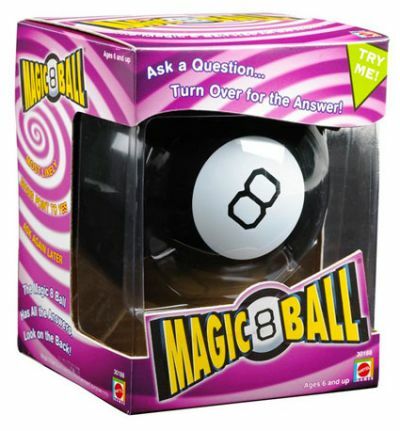 Good Luck with your decision and if you haven’t made up your mind yet, maybe you do need to consult the Magic Eight Ball for your answer. Share the post "Should you start a blog or not?" What is a Blog? Are you looking for a Free Adwords Coupon, Australia?